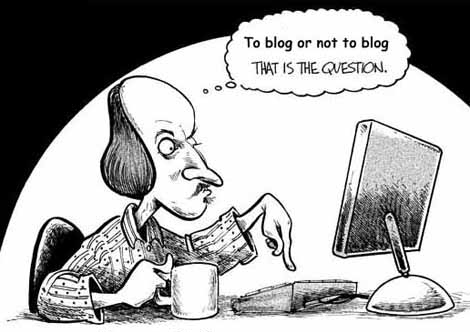 Despite the numerous benefits of blogging, it is common to find a common man on the street without a blog. Many are often hindered by so many fears which they convert to excuses for not blogging. Today, let’s consider 3 of the most popular excuses people give for not owing a blog. Not enough time: This is one of the most common excuses people give for not blogging. It is important to understand that blogging is not one of those activities that consume lots of time to do. If you can spare 30 minutes a day, you can own a blog. All you have to do is to create time for it just like you do for every other activity you engage in. I don’t know how to write, especially long posts: Nay!!! Blogging is not all about drafting 700 words per post neither is it all about being a professional writer. The best bloggers today were not professional writers when they started. As long as you can put your thoughts together in few sentences, you’re welcome to the blogosphere. As a matter of fact, there is no blogging rule that states how long a post must be. If your style is not to write long articles, you may just be like Seth Godin. It is very rare to find a long article on Seth Godin’s blog. This is an expert who has authored 13 books. So, you are not alone on this. I don’t have anything to blog on: Hey, you do! As long as you have a passion and hobby, there’s something to blog on. Most of the most popular blogs today started from the hobbies of the blogger. For instance, most travel blogs started from the blogger’s hobby (which is to travel). These blogs now offer travel tips to their visitors. So, there is something you love to do. What is that aspect of life that you enjoy the most and are willing to help others enjoy? Start blogging on it. Aii aii capiton! As a birthday present, I created a blog(not ready nor willing to share for now please..lol) for myself, but haven't updated it in almost 3weeks! I will get to work immediately…after work is done.